Dr. Aydin obtained his Doctor of Medical Dentistry degree from UMDNJ New Jersey Dental School. Prior to entering private practice he also completed a general practice residency at Hackensack University Medical Center. There he received training in advanced dentistry such as implant restorations, implant placement and full mouth rehabilitations. Dr. Aydin is also proficient in general and cosmetic dentistry. 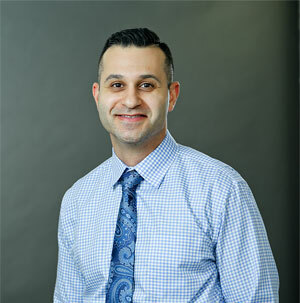 As a member of multiple dental organizations such as the American Dental Association and the New Jersey Dental Association, Dr. Aydin is always in touch with the most advanced techniques in dentistry. He is continuing his education with post graduate courses in advanced implant surgery and bone grafting.